The University of Arizona’s Cancer Center hopes to become the premier mesothelioma treatment center in the Southwest. A UA thoracic surgeon performed the first successful extraplurual pneumonectomy or radical pleurectomy to treat malignant mesothelioma. Malignant mesothelioma is a rare form of cancer that attacks the lining of the body’s organs including the lungs, heart and abdomen. Mesothelioma is caused by asbestos exposure. Currently there is no known cure for mesothelioma and the life expectancy for mesothelioma is generally six to twelve months from diagnosis. Chemotherapy is said to extend life by a few more months. Jonathon C. Daniel, MD, Thoracic Surgeon and Assistant Professor in the division of Cardiothoracic Surgery in the University of Arizona Department of Surgery offers extrapleural pneumonectomy and radical pleurectomy surgery. Dr. Daniel has performed at least five of the complex surgical procedure. Electricians were often involved in the renovation and upgrading of older buildings or industrial facilities. As a result, electricians were at high risk of asbestos exposure. Asbestos is a mineral fiber linked to mesothelioma, lung cancer and asbestosis. Mesothelioma is a rare cancer that attacks the lining of the organs caused asbestos exposure. Electricians were at risk for exposure to asbestos when they worked with electrical insulation, or renovated or upgraded wall, floors and ceilings of older buildings. The process of wiring or rewiring a building or industrial facility often requires the electrician to crawl through or disturb areas where asbestos was or is present in the form of asbestos-containing products. The Throneberry Law Group takes cases nationwide, and the laws are different in each state. This includes a statute of limitations that applies to filing a lawsuit. Our lawyers have brought personal injury claims on behalf of men and women who were diagnosed with mesothelioma or asbestos-related lung cancer, as well as wrongful death suits on behalf of spouses and children left behind when the disease proved fatal. The clock starts when there is a preliminary or confirmed diagnosis of mesothelioma. If a lawsuit is not filed before the deadline in that jurisdiction, the victim or family may be barred from recovering monetary damages. Therefore, it is critical to contact a knowledgeable attorney as early as possible. See Generic Statute of Limitations for each State. In addition to mesothelioma, exposure to airborne asbestos fibers increases the risk of two other major diseases: asbestosis and lung cancer. Asbestos-related diseases can take decades to develop, often manifesting after retirement from an industrial career that involved asbestos exposure. Governmental regulation of asbestos has tightened significantly since the 1970s, so asbestos exposure has been greatly reduced. Lung cancer, the leading cause of cancer deaths, differs from mesothelioma. Lung cancer causes the growth of abnormal, cancerous cells into a tumor in the lung itself, not in organ lining. Like mesothelioma, lung cancer can metastasize to other body organs. If you have a history of asbestos exposure, you may be at risk for asbestosis, a noncancerous respiratory disease caused when microscopic shards of threadlike asbestos fibers are breathed into the lungs and become lodged. The body excretes acid in response to the foreign object, causing scarring or fibrosis that stiffens the lung tissue, restricting its ability to expand and contract with breathing. Malignant mesothelioma is a rare cancer that attacks the lining of the organs – lung, heart and abdomen. After malignant mesothelioma is diagnosed by a biopsy, the medical staff will determine the stage of the disease. To determine the stage of the malignant mesothelioma, physicians may conduct a computer tomography-CT or magnetic resonance imaging-MRI sans to evaluate the progression of the disease. 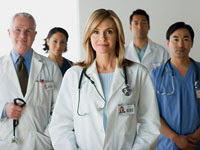 Once physicians determine the stage, they will determine the appropriate treatment. Stage 1 — The tumor is found in the pleura with or without some involvement of the lung, pericardium (lining of the heart) or diaphragm. Asbestos was once an often used material in the construction industry due to its strength and heat resistance properties. As a result, construction trades involved in the renovation or repair of older buildings may be at risk of exposure to asbestos and possibly mesothelioma, lung cancer and asbestosis. Mesothelioma is a rare cancer that attacks the lining of the organs caused by asbestos exposure. A mesothelioma diagnosis is frightening where the emotional reactions can be one of shock, fear, anger and denial. Having experienced and witnessed these emotions first hand, these emotional reactions can be crippling. It is important to understand that time is of the essence for victims and their families. Mesothelioma victims must quickly come to terms with the illness to face treatment and to allow family members to understand the psychological stages and symptoms. The mesothelioma diagnosis will lead the victim and the victim’s family down a path of discovery to determine what mesothelioma can do. In battling this unforgiving disease, it is important to stay mentally strong and remember what mesothelioma cannot do. The following was adapted from an anonymous author in battling cancer and “What Cancer Cannot Do”. Insulation containing asbestos protecting water pipes in homes and commercial buildings may pose a serious health threat to plumbers and pipe fitters. Plumbers who generally work with residential pipes and their commercial counterpart pipe fitters are often exposed to asbestos containing materials in the course of their daily work. Plumbers and pipe fitters, for example, are often called to repair or replace pipes insulated with asbestos and as a result may be exposed to asbestos. Mesothelioma is a rare cancer caused by exposure to asbestos. Every year there are approximately 3,000 new cases diagnosed. As a result, the U.S. Food and Drug Administration (FDA) has designated mesothelioma as an “orphan disease” because it is a rare disease affecting fewer than 200,000 people in the United States.